Heading to the office in your work outfit knowing you have a happy hour after work can be a little daunting in the fashion department. You are wanting to look the part in the office but after work, your wanting to achieve a look that doesn't represent you in the same way. Many ways can be added or taken away to achieve a more casual look to your outfit as soon as you know its time to clock off and head to the meeting place your colleagues or friends will be at. 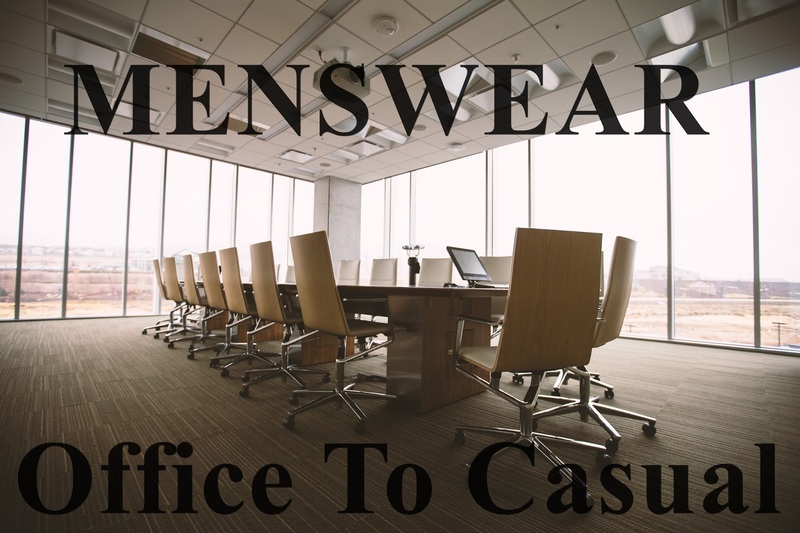 Depending on what your work attire is, from a suit to a casual but smart look, i will show you some tips and tricks! If your looking to switch between smart to casual, blazers are a great way to achieve this! Blazers can add an element of the business man persona but recently they have come to the fashion forefront by teaming them with a casual outfit. You could hide a printed sleeve shirt by wearing the blazer around the office but once your at your casual event you can lose the blazer to achieve this. Sweaters are a great item of clothing that can transform your work outfit to casual in an instance. 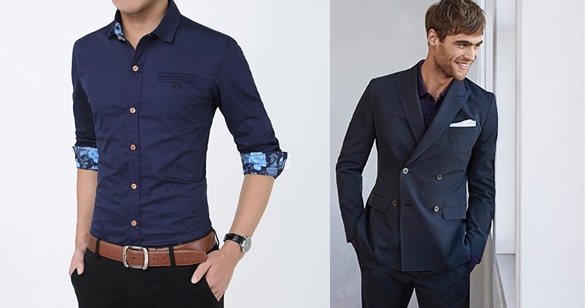 Wearing them alone with the shirt collar being seen or rolling up the sleeves and untucking the shirt whilst ditching the tie, are just a few tips for the casual look. Casual jackets teamed with the formal look can help you in quick time to achieve your casual look with no worries, its all about experimenting with causal jackets with your formal wear and see what works best for you. As you can see these varsity jackets add a casual look to a formal outfit. Accessories can add any touch to an outfit as you wish. Plus they can be switched or changed without compromising your whole outfit for that day. Scarves can add an instant casual look as well as messenger bags that can be carried or over the shoulder for the more casual look. One of the hottest fashion trends and quick fix to take the formal look to casual in an instance is swapping your work shoes for trainers! A instant casual but smart look is achieved by this simple trick! It is entirely up to you as i believe fashion is a choice and your the rule maker. Mix and match different clothing and assess what items work and what don't. Achieving a casual look from the office can be achieved with your own personal style and in quick time! If your looking for a suit to help you achieve any of these looks or compliment your own style, TM Lewin has you covered. X Neil.